Lonnie Smith was born in Buffalo, NY in 1953. Musically inspired at a young age, he started with a trumpet, but created his first vocal group in high school called The Supremes. His first exposure to the Hammond organ was in church and through the hits of Bill Doggett and Jimmy Smith. After getting his hands on Midnight Special, he tried every time he could to learn everything about that organ. Lonnie would practice every day at Art Kubero's music store. Finally, while in NYC, Lonnie sat in with the Jack McDuff Quartet with George Benson. When Benson left to form his own group, he asked Lonnie to be his organist. Jimmy Boyd, who signed Benson, saw Lonnie playing at Small's, and came up to him and told him to show up the following day for a recording session with Grant Green. Lonnie never went, as he felt he wasn't ready to be playing with someone of the caliber of Grant. After playing with Benson for a while, and recording a few albums for Columbia with him, Lou Donaldson asked both of them in on the Alligator Bogaloo session. From then on, Lonnie was thrilled to be associated with Blue Note for 4-5 years. After his only release as a leader for Columbia, Lonnie recorded four albums as a leader for Blue Note, as well as appearing as a sideman on many other releases. This association ended when Frank Wolff died, after which Lonnie recorded many albums for Sonny Lester. His 1971 Mama Wailer is a Jazz-Funk classic. His Afrodesia (LRC, 1977) with Benson, Randy Brecker & Steve Gadd among others has some interesting compositions and arrangements. Watch out: many stores and discographies mistake him for Lonnie "Liston" Smith and only have one bin for both. 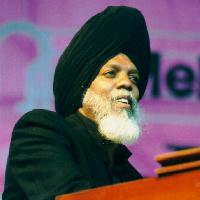 "Dr." Lonnie Smith recently recorded three albums with John Abercrombie and Marvin "Smitty" Smith. Two are tributes to Jimi Hendrix: Purple Haze and Foxy Lady (which, according to Abercrombie, were supposed to be one album); one a tribute to John Coltrane: Afro Blue. In 1995, Blue Note released, as part of their Rare Groove Series, a previoulsy unreleased live recording with Dave Hubbard, George Benson, Ronnie Cuber and Joe Dukes. Live At Club Mozambique has quickly become a favorite among Jazz organ fans. Besides continuing to record and tour with Lou Donaldson, and recording as a sideman to help out local artists, he was just featured on two all-star recordings from Hip Bop's Essence series: Organic Grooves with Joey DeFrancesco, Kenny Garrett and Lenny White, and the new BongoBop with Reuben Wilson, Doug Carn and Joey DeFrancesco. Benson George Spiritual To Swing (Live) 19?? Columbia ? Martin John Spider Live At The Breakers ? ? ? Smith Lonnie Flavors 6/15/77 Musidisc ?